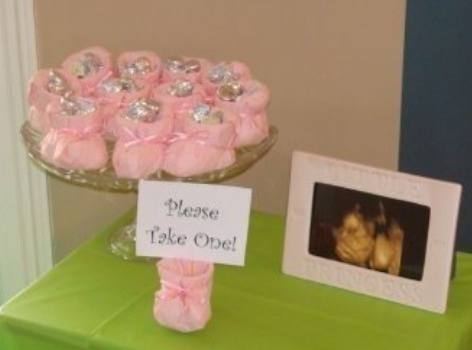 Baby Shower Favor Idea - Quick and Easy! Looking for a great baby shower favor idea? 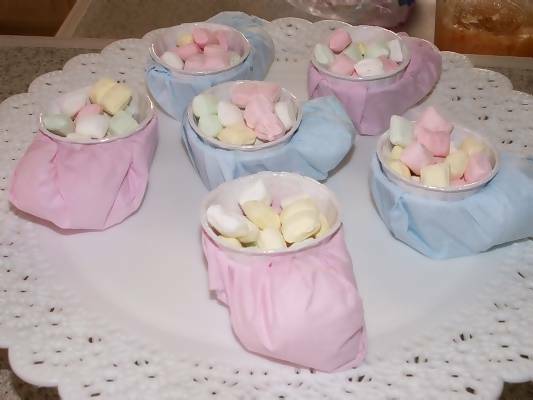 These Kleenex baby bootie cups are so cute and easy to make! They can be used both as a table decoration (they look great on a tier stand) and as a cute party favor for your guests. They are also very inexpensive to make for those of you on a tight budget. 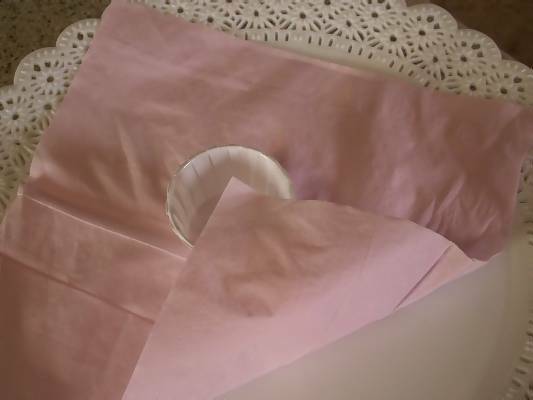 Start by laying one Kleenex tissue paper out in front of you. 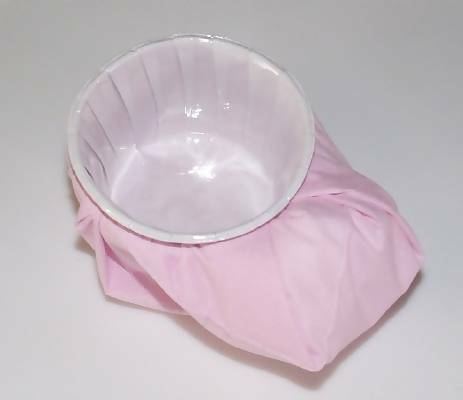 Place the nut cup and cotton ball on top of the Kleenex. The cotton ball should be placed in front of the nut cup and face a corner of the Kleenex. 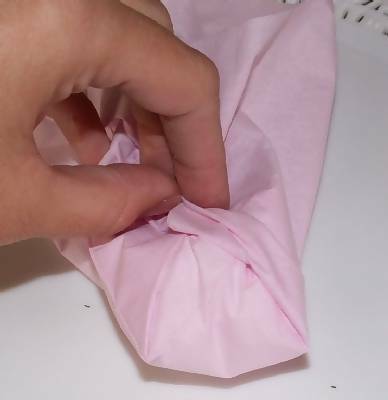 Fold the corner of the Kleenex up over the cotton ball and into the nut cup. 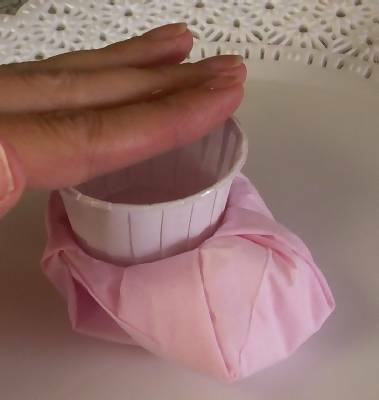 Continue to fold the edges of the Kleenex into the cup, being careful to hold the Kleenex in place as you go. Place another nut cup on top of the first nut cup and press down with your hand. This will keep the edges of the Kleenex in place. 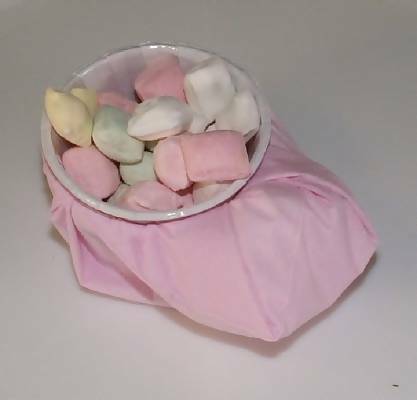 Fill with candy or trail mix for a cute decoration or party favor. And this is what it should look like when you are done. Viola! That's it! This craft is a simple and adorable addition to any baby shower. They are so easy and fast to put together. You will love them! She used paper bathroom drinking cups, which makes it a little taller and finished it off with some ribbon tied around it. Cute! 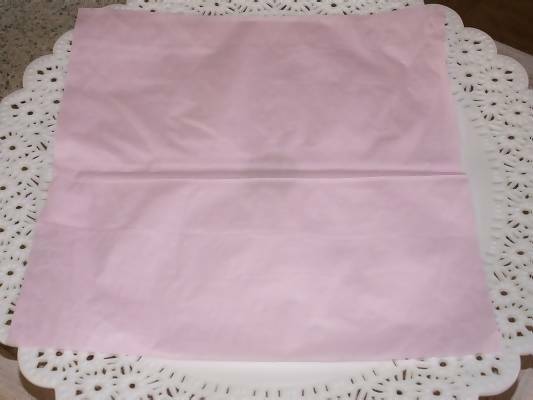 You will need as many napkins as number of guests that are attending. Lay the napkin down flat. 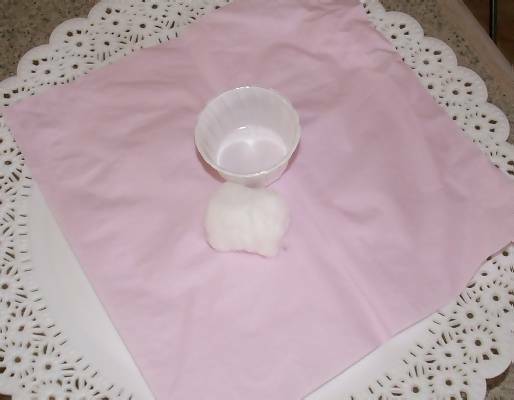 Place cup on the napkin and put several cotton balls against the cup. Then pull up the napkin and tuck in the top of the cup. The napkin should cover the cotton balls and the cup. Tie a ribbon around the cup tight. You can also but tiny little rattles on the ribbons.